Clearly happy with the success of the 911 Carrera T, Porsche has now given the base Cayman and Boxster models the same treatment. Well, not quite. When these cars were first rumoured a few weeks ago, we thought we knew what to expect, but the recipe is a little different to that of the T’d 911. The main weight reduction measure listed is an optional infotainment delete, which - along with some new sports seats - counteracts the addition of a petrol particulate filter. There’s no mention of thinner glass or a reduction in soundproofing, but you do get some lovely-looking fabric door pulls. But other than that, what’s new? A 20mm lower PASM (Porsche Active Suspension Management) sport chassis, for one, which isn’t even available on a non-S 718. It’s fitted as standard here, along with the Sport Chrono Pack. The 2.0-litre flat-four engine remains unchanged, providing 296bhp. It’ll get you from 0-62mph in 5.1 seconds, or 4.7sec if you option the PDK twin-clutch automatic. 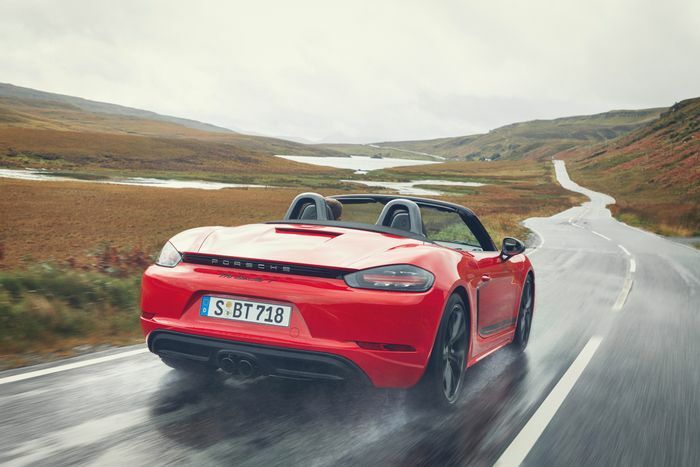 On the subject of the transmission, the 718 T has received a special dynamic gearbox mount which “minimises vibrations from the engine/gearbox and helps to control movements of the total mass of the drivetrain,” Porsche says. 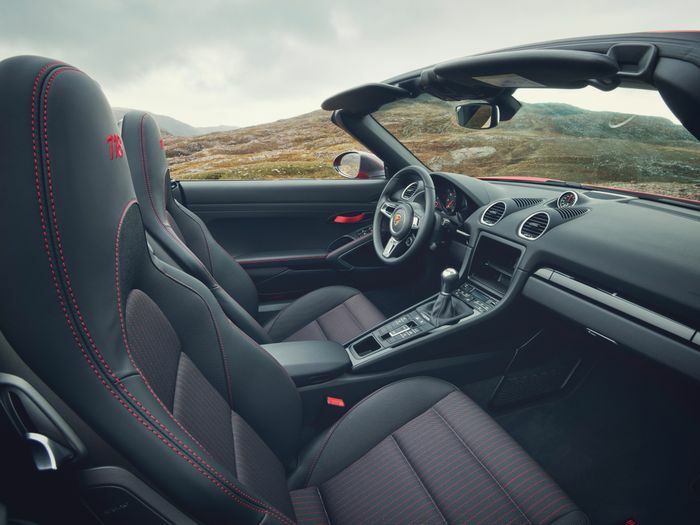 Other than the lighter seats and new door pulls, the interior has also been given a ‘GT’ sports steering wheel which “offers a particularly secure grip,” along with many Boxster T/Cayman T badges. You’ll find more T badging on the outside, along with black-chrome-plated tailpipes and some rather nice 20-inch alloy wheels. You can finish the car in a variety of hues including Guards Red, Racing Yellow, Carrera White, GT Silver, and Miami Blue. 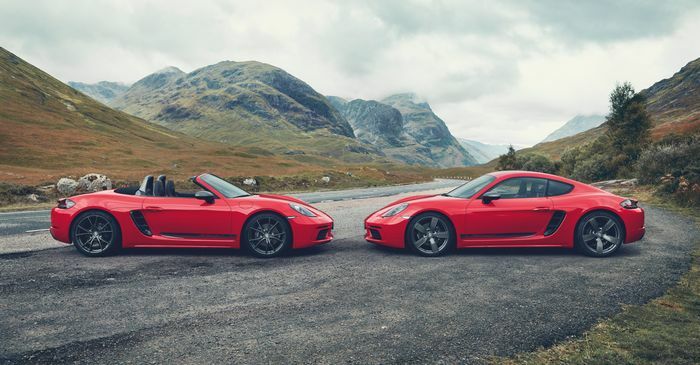 The 718 Cayman T is £51,145 plus on-the-road costs, while 718 Boxster T is £53,006. 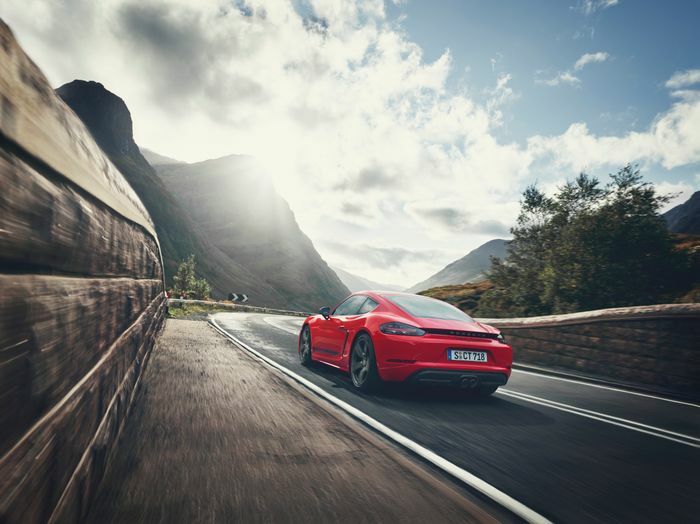 Buy one in the UK, and Porsche will invite you to “explore the potential” of your new car at the company’s Silverstone Experience Centre. Isn’t that kind?